On October 4, 2015 Job Site Surveillance’s construction site surveillance cameras captured an intruder driving onto the Huntersville Health and Rehab Center job site in Huntersville, NC. The construction site surveillance cameras also captured an individual inside the building as well as pushing a cart full of copper pipe and wire through the building under construction. Job Site Surveillance dispatched the Huntersville PD to the job site to look for the suspect. Upon arrival the Huntersville Police spotted and apprehended the suspect. Upon apprehending the suspect, the police also notice he already had copper pipe and wire in his car which he claimed was taken from another local job site. The suspect had stolen over $6500 worth of copper pipe and wire from the Huntersville Health and Rehab site. The suspect was placed under arrest and charged with Felony Larceny, Felony Breaking or Entering and Possession of Burglary Tools. Thanks to Job Site Surveillance’s construction site surveillance cameras the Huntersville Police have arrested and charged 2 individuals for stealing from this job site. 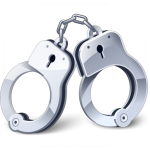 The arrests have saved Integrated Construction from incurring thousands of dollars in losses. If you are interested in Job Site Surveillance’s construction site surveillance cameras to protect your job site, construction trailers, or connexes call us today at 919-609-5633 or complete the contact form on our contact page. We also offer job site progress cameras so owners of projects under construction can view the progress of their buildings from afar. Don’t wait until it’s to late and you incur losses, call Job Site Surveillance today and let us install one of our construction site surveillance camera systems for you.